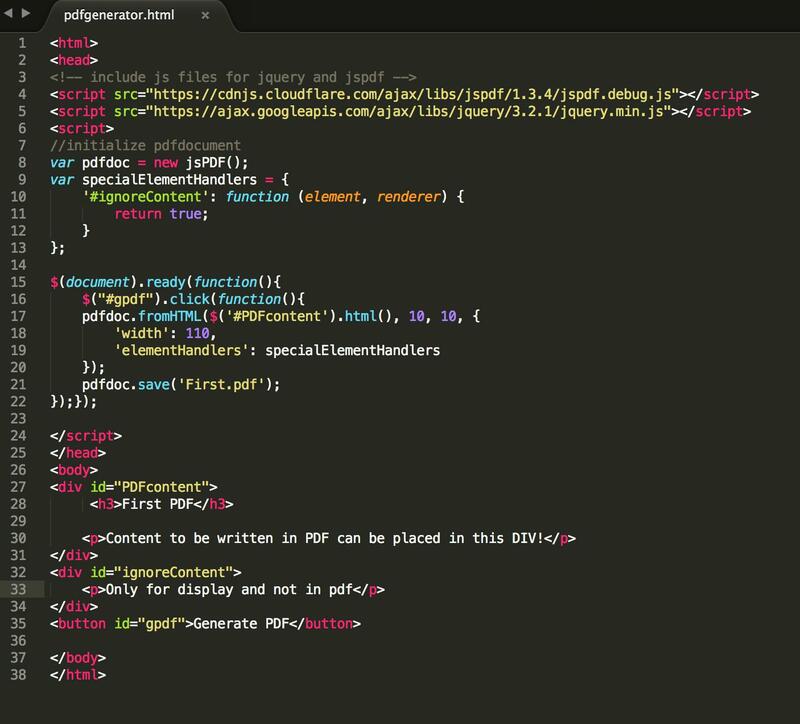 The task of saving content as a PDF file requires the use of some third party JS APIs. In this example, we have used the JSPDF library to generate a PDF. If you are looking for an easy way to convert HTML to PDF then you may generate full-featured PDF with Unicode and other formatting features by passing url or HTML code to Web API powered by ByteScout. …and our final generated PDF file! (Note: CDNs are preferred as a source of these libraries rather than downloading *.js files, because libraries are kept updated. In addition, if the libraries are downloaded from the same CDN, your browser can have the library saved already through some other website, reducing time on multiple projects). Define the HTML body to contain the two division tags, displaying different information on the screen. The button we’re making here is labeled “Generate PDF”, and will be used to trigger the PDF generation process. Initialize the JSPDF object in the script tag, and define its properties. When the “Generate PDF” button is pressed, the function will be triggered. This function is included inside the document-ready function, which will prevent the function listed within the block from being invoked when the complete page is not loaded. $(“#gpdf”) is the jQuery selector that helps to monitor clicks on the button with id=”gpdf”. Once clicked, it will invoke the code written within the click block. The function triggered will define the dimensions of the pdf file to be generated, and the object “specialElementHandlers”, which will define any additional properties to be taken under consideration while writing the data into the PDF. In this example, the code will bypass the text defined under the “ignoreContent” div, and will only display the content defined under the “PDFcontent” div. In the generated file, only the contents in “PDFcontent“ will be displayed. And this means we’re done – our file will be generated with the filename First.pdf! 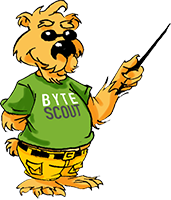 ByteScout has a team of professional writers specialized in different technical topics. We select the best writers to cover interesting and trending topics for our readers. We love developers and we hope our articles help you learn about programming and programmers. Laravel: The Ultimate PHP Low-Code Platform!